I need to join you on this spending ban. I use the benefit foundation too but I can't part with it, even if it is pricey. Nothing can compare to it! 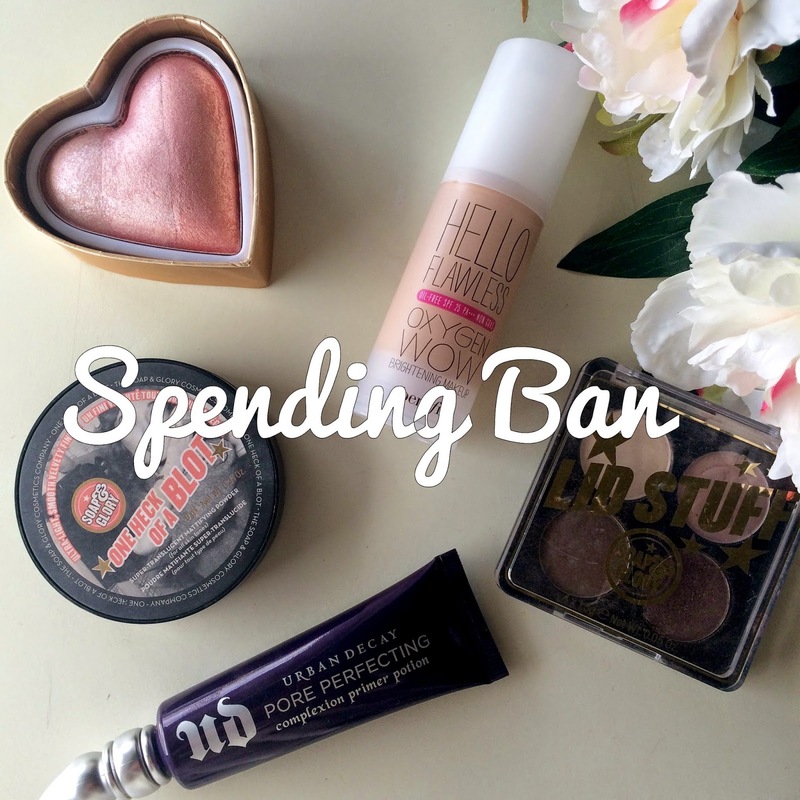 I've been doing a spending ban pretty much myself recently! I went through such a huge phase October - December where I was just buying so much, and now I really don't even feel the need to shop! My bank accounts enjoying it thats for sure :) its nice to just treat yourself occasionally as well instead of just constantly shopping! Great tips! I think I could probably benefit from doing this too. Good luck with it. When February started I was going to go on a spending hiatus... which lasted until about February 2nd! I really need to cool it for a little while. My new motto is "Shop your stash!" I really need to do this! I do love the satisfaction of actually using up makeup products, especially hitting ban on an eyeshadow! I admit my mouth fell open a little when I saw 27 foundations! My lipsticks are getting a little out of hand to be honest...I should probably employ this little ban soon. That last tip is super helpful, and actually something I do sometimes! It really does help. Haha, wow I definitely feel ya! I had to move countries a few years back and had to REALLY think about what I want to take with me .. I had a huuuuge box of makeup that I had a hard time parting with .. as I got older, and wiser I've realized that I don't even use more than half of the things I own. I mean, I can't just cake on every single piece of make up that I have. So it's always good to declutter. Actually doing the same with my clothes .. just sticking to what I've actually worn in the past 3 months, everything else is going to the back of the closet or donated! But 27 foundations .. wow. I'm only at 5. I definitely need to join in on this spending ban! You're so right about the emails, they always tempt me with the 20% discounts and other offers and I get so many a day too!